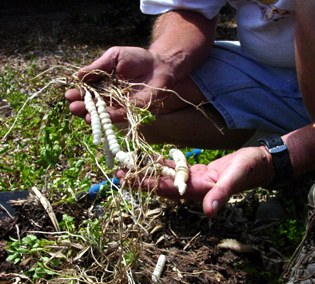 The tubers make Florida betony tough to control. Even when above ground foliage and stems are killed due to herbicide use, the tubers allow the regeneration of the plant repeatedly. When attempting to control this weed, it helps to be more persistent than the plant. Many people give up.